The 2018 NRA Carry Guard Expo will be held September 14 – 16 at the Richmond Convention Center in Richmond, VA. 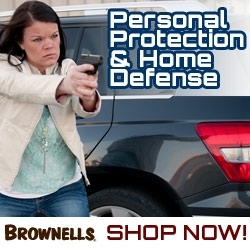 This three-day event is for individuals interested in increasing their knowledge and skills in personal protection, concealed carry and home defense. The Exhibit Hall features leading firearm and accessory companies, showcasing their most advanced firearms and gear for self-defense and concealed carry.